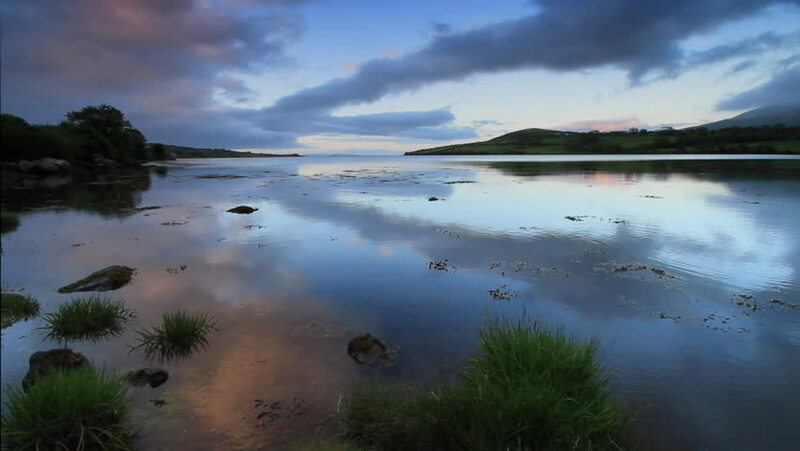 Shot of the beautiful Brandon Bay at Sunset. hd00:15Panorama of the river mouth. Black Sea Coast. Veleka River. Bulgaria - Europe. 4k00:30A timelapse shot of a river with mangroves beneath it. 4k00:30Slow panning, aerial view of breathtaking sky with moon over tranquil river at evening.